Luxury Narrowboat holidays Oxford Canal. Canal Boat Hire, Oxford, canal holidays. Weekly holidays from £850 to £1,399 for our luxury 6 berth boats- We also have a two berth boat – Day or short breaks on ‘Comet’- 2019 prices are up. Your Narrowboat Holiday starts here! there to here and beyond! download the pdf or send us your details and we will post one out to you! From the bustle at Braunston to the dreaming spires of Oxford, this is one of Britain’s finest rural canals. 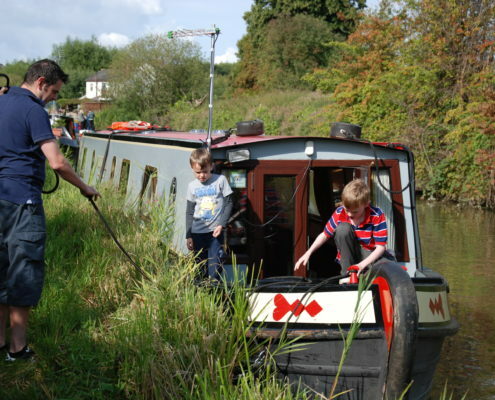 Canal boat, narrowboat holidays to suit you and all your family/crew. Both ‘Chieftain’ & ‘Conqueror’ sleep 4 or 6 with 2 bathrooms, a front lounge and a dining area they are the most comfortable afloat. We would like to welcome you on board ‘Chieftain’, ‘Conqueror’ or ‘Comet’ our modern, comfortable narrow boats, equipped to ensure you have a wonderful holiday, bookable by the week(s). OR – Fancy just a day on the canal or short break? Then, ‘Comet’, our 40ft, two berth luxurious Day/Short break boat is available to hire. Our boats have all you will need on board, we supply all your cleaning items, feather and sponge pillows, a towel per person and even a ‘Dry as a Bone’ and a hat for the helm should it rain. On board you will also find a TV, DVD player, on board chargers for laptops and mobile phones, a great ‘frying pan’ for those hearty breakfasts, sharp knives (Sabatier & steel!) and much, much, more. We will ensure that you have all the necessary training if you are a beginner, taking you through a lock and only setting you on your way when you are entirely happy. 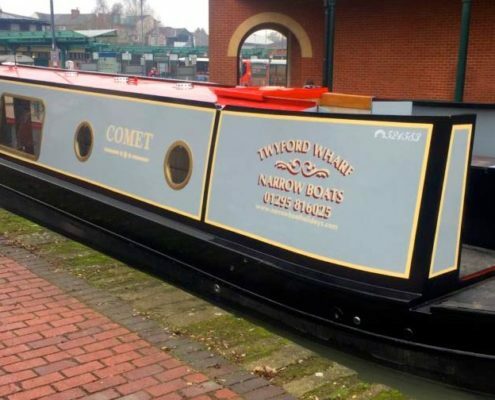 To look up availability and prices of ‘Comet’, our day/short break narrow boat, please go to the Prices/Availability tab for details. New boater-do not worry! Our team will meet you on arrival, show you to your boat and explain all. We will take you through your first lock and make sure you are happy before setting you off on your adventure. We are a small family run business with just three boats offering a high degree of luxury and personal service. 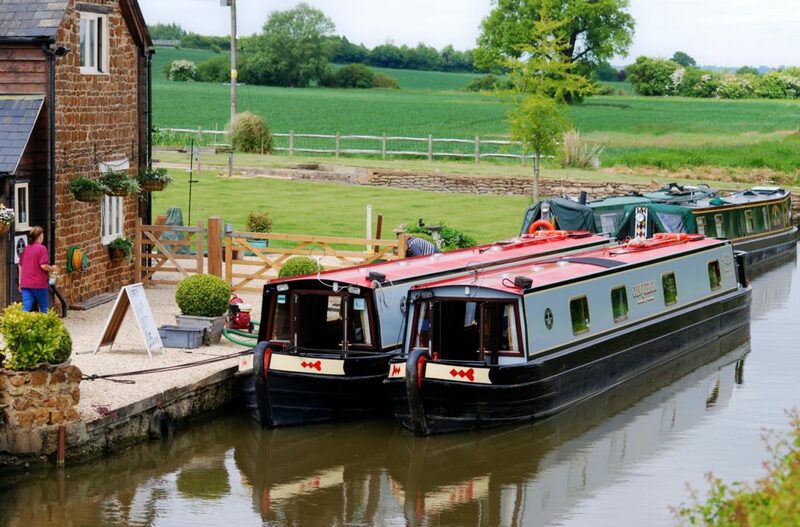 Your narrow-boat journey will start at our converted wharf barn, situated on the Oxford Canal which is often regarded as one of England’s most scenic canals. 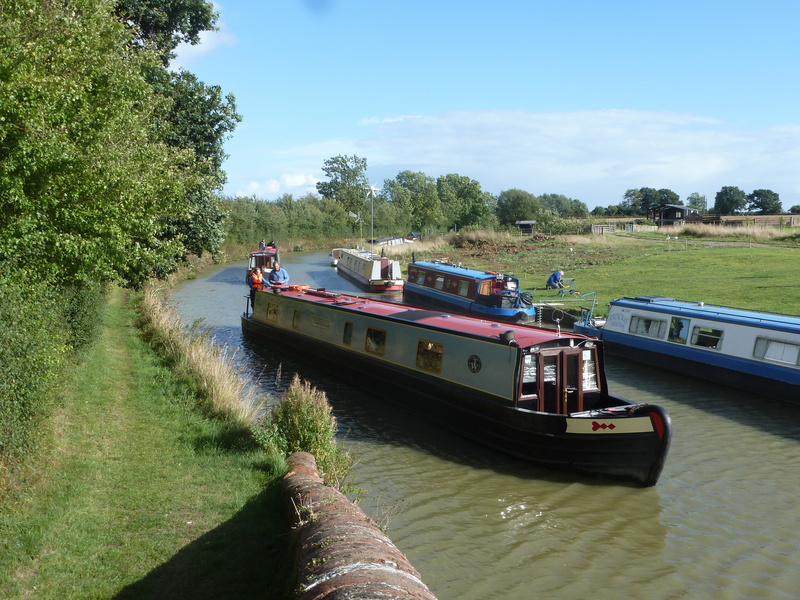 From Twyford Wharf you can either cruise north towards Braunston, Stoke-Bruene, to Warwick with stunning scenery of the windmill at Napton or south to the city of Oxford and onto the River Thames. Cruise up to Lechlade on the Thames discovering great pubs along the way and wonderful scenic views. If you have longer why not the Warwick Ring – cruise to Stratford upon Avon or tackle the River Thames towards London. Opportunities are endless on UK’s most scenic canal. Many, many great pubs along the way at some really beautiful villages like Thrupp, Cropredy and Ahyno. Get discovering now! We are here to help you book a wonderful holiday – so – if you have any questions please give us a call and we look forward to welcoming you aboard ‘Chieftain’ or ‘Conqueror’ for a fantastic holiday. Wi-Fi is available by request – Select from our extensive DVD collection of films for your holiday – Up to 2 pets welcome! 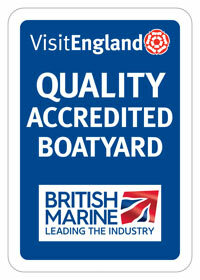 To Hire a canal boat today CALL 01295 816025 or 07833 190115 to arrange your Narrow Boat holiday. We will even supply you with walkie talkies – the kids just love them!! All the latest news, hints and tips from the Oxford Canal. Check out our blog and signup for News and Narrowboat holiday Special offers. We Narrow Boat on a regular basis and Twyford Wharf Narrow Boats are the best Company to deal with. From the initial phone call to the end of the holiday nothing could be improved – boat or service! We, a family of three (54+54+15), enjoyed our trip with the Conqueror and Twyford Wharf Narrow Boats very much. Although having some experience with narrow boating, we were quite excited about a narrowboat, as there aren’t such boats in Germany. But Colin prepared us very well with information and videos beforehand. And when we took over the boat, he joined us up to the first lock, which was very nice and gave us assurance. Once we past the first lock, a relaxing and gorgeous week on the Oxford Canal started, with interesting people and places. Having driven all the way from North Wales we received a very warm welcome at Twyford Wharf. Having initially been a little apprehensive as neither of the group had been on a narrow boat, we were soon put at ease. We were shown the ‘ropes’ and taught how to steer, go through locks and handle the boat generally. Having a narrow boat made for a very relaxing holiday with very beautiful scenery and friendly pubs along the way. We are already greatly anticipating a second visit. 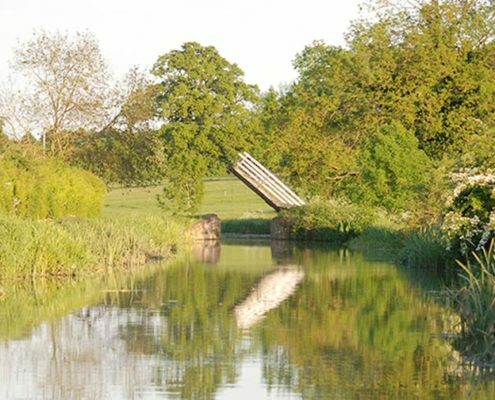 Take a canal boat holiday for 4 days and explore the beautiful Oxford Canal. Sleeping up to 4 persons Chieftain will bring you all your home comforts on the canal. To book this holiday call Colin on 07833190115 – It cannot be booked on-line .